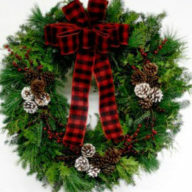 View cart “Adirondack Realistic Faux Wreath” has been added to your cart. 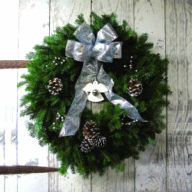 Grapevine Wreath. 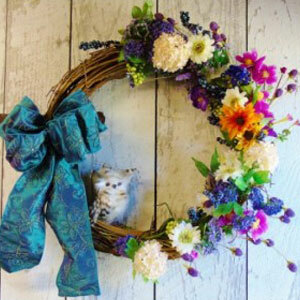 Made up of silk flowers with a mixture of berries. Large white gerba daisies, blush pink hydrangeas, purple peony with a mixture of orchids, pine branches and accented with a glittery dragon fly and a double burlap and purple gingham bow. 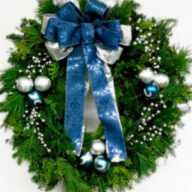 Wreath measures 18″ outer diameter. $84.95 + Shipping and Tax where applicable.